Republican/Conservative mayoral candidate Nicole Malliotakis is a no, a yes and a maybe on the three propositions that will appear on Tuesday’s ballot. Ballot proposition #1, whether to hold a state constitutional convention, has been widely discussed, but propositions #2, to allow for reductions or elimination of the pensions of public officers convicted of a felony related to their duties, and #3, to create a 250 acre land bank and to allow creation of bike paths and utility lines in the Adirondacks, have received far less attention. Malliotakis has previously declared her opposition to proposition #1. Nicole is a no. Republican/Conservative mayoral candidate Nicole Malliotakis opposes holding a New York State constitutional convention and urges a “no” vote. The 2017 general election will present voters with a ballot question of whether to hold such a constitutional convention, often referred to as a “ConCon.” The state constitution requires that voters be presented with such a ballot question every 20 years; it was voted down in 1997 and 1977. Should voters approve a ConCon, convention delegates would be elected in the 2018 general election and the convention would convene in the spring of 2019. Malliotakis’ expressed view matches that of much of organized labor, opposing a convention on fears that it could result in weakening or eliminating the existing state constitution’s prohibition on reducing public employee pensions. It also matches that of rival candidates Bo Dietl and Bill de Blasio and the two parties who have Malliotakis as their nominee, the Republican and Conservative parties. We spoke this afternoon just before Harlem’s African American Day Parade. Update – Note: In May Malliotakis said that she was “very torn” on whether to support a ConCon and had not yet made a decision. He’s a no. 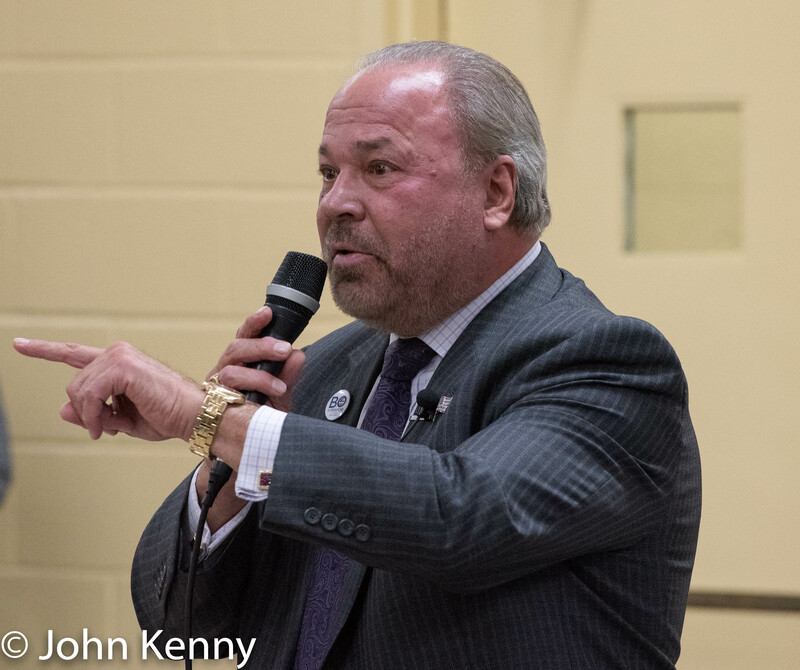 Mayoral candidate Bo Dietl opposes holding a state constitutional convention. 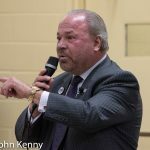 Dietl’s expressed view matches that of much of organized labor, opposing a convention on fears that it could result in weakening or eliminating the existing state constitution’s prohibition on reducing public employee pensions. We spoke during a Dietl visit to Staten Island’s Arrochar Friendship Club. “I’m actually very torn on it.” That’s Republican mayoral candidate Nicole Malliotakis on whether she supports holding a New York State constitutional convention. Malliotakis, who is her fourth term in the state Assembly, described potential positives from a convention as including reducing the power of the Assembly speaker, legislative term limits and more equitable treatment of legislators. She expressed concerns about stripping or reductions of public employee pensions. Malliotakis is, for a Republican elected official, unusually supportive of public employees and public sector unions. Malliotakis’ statement taking a position is available here. Republican mayoral candidate Michel Faulkner does not support a state constitutional convention. He gave a nod to supporters, but ultimately placed himself in the “no” for November’s ballot question. Republican mayoral candidate Paul Massey says he supports a state constitutional convention. Massey appeared unfamiliar with the question, but expressed support after a brief description during a press conference today on Staten Island. Council Member and putative Republican mayoral candidate Erich Ulrich supports holding a state constitutional convention. Saying that there are vital changes that “weak-kneed politicians in Albany and City Hall have refused to take up,” Ulrich said that he is “wholeheartedly” in support of a convention. Should Ulrich run and make it to the general election, the ConCon could be an energizing issue in November. We spoke with Ulrich following an appearance at the Upper East Side’s Metropolitan Republican Club. Will the anger and discontent fueling Donald Trump’s presidential campaign energize a “yes” vote in next year’s ballot question of whether to convene a New York State constitutional convention? First, some background. 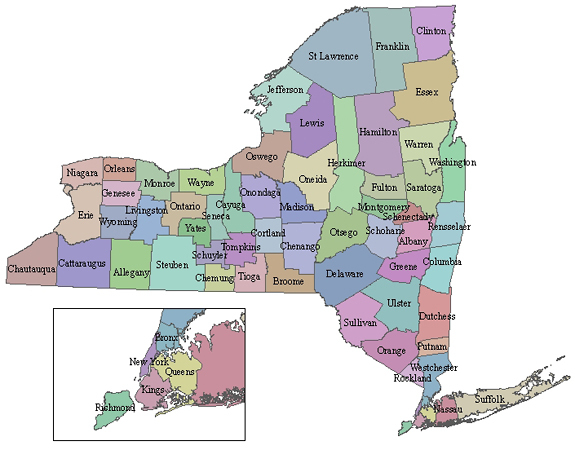 Article XIX of the New York State Constitution provides for a ballot question every twenty years of whether to convene a constitutional convention, often referred to as a “ConCon,” with the next such vote set for 2017. If a simple majority vote yes on convening a convention, delegates to a convention will be elected in November 2018 and the convention will convene in April 2019. Voters rejected conventions in 1997 and 1977. Voters did approve a convention in 1965 (on the ballot pursuant to a statutory mandate from the legislature) and it was held in 1967, although voters later rejected the revised constitution produced by that convention. A convention has the authority to rewrite any part of, or the entire, state constitution, but any changes take effect only if subsequently approved by voters in a statewide election. It’s an alluring prospect to many, offering a chance for a favored change stymied by the governor and/or legislature as well as offering the possibility of a broad reshaping of state government. In reality though, the prospect of a convention has generated strong organized opposition from public employee unions, who rightly fear removal of the constitutional prohibition on reducing state employee pensions, and ultimately fallen to the fear of possible excess by a convention free to radically rewrite the Constitution.